On March 28, 2013, I had the privilege along with other lawyers from Southeast Asia and members of the American Immigration Lawyers Association (AILA) to attend an open house with representatives of the U.S. Consulate in Saigon. After the open house, we had the great opportunity to ask questions and to address concerns that we have with the section chiefs at the old USCIS office on Diamond Plaza in Saigon. It was quite a memorable trip, and we gave a huge thank you to the U.S. Consulate for opening its doors and providing us the opportunity to ask questions and to get information that we know will benefit our clients and the general public. Here is the recap of the information from the meeting with the U.S. Consulate in Saigon. Mrs. Diane West is the head for the American Citizen Services (ACS), and she has tremendous experience with visa processing in Vietnam. This is her third tour with the U.S. Consulate/U.S. Orderly Departure Program in Vietnam. There are at least 70,000 American citizens in Vietnam and only 10,000 of the citizens are registered with the Department of State. This means that in the event of evacuation (political or natural disaster events), it will be impossible to get hold of the 60,000 citizens without their registration. ACS assists U.S. citizens with services that are normally done in the U.S. but done locally at the U.S. Consulate in Saigon. Often, the services came in light of an unfortunate event that has happened to the U.S. citizen. For example, lost or stolen U.S. passports, death, or destitution of a U.S. citizen. In the event of death, the Consulate would guide the family members for registration of death certificates and would issue up to 20 certified copies of the death certificate. For citizens that have lost all of their documents and valuables, ACS would assist in the replacement of the passport, and after 3 unsuccessful attempts in contacting friends and relatives in the USA for funding to return to the USA, ACS would provide a repatriation loan for the citizen to return to the USA. ACS also adjudicates claims of U.S. citizenship when the child is born to a U.S. citizen parent in Vietnam. The appointment for registration of the child birth is done online. The actual interview is done with the U.S. Consulate. ACS encourages the submission of the U.S. citizen parent’s social security statement from the Social Security Administration as proof of 5 years physical presence for the child to acquire U.S. citizenship. Per ACS, DNA testing is only suggested as a mean of last resort when there is insufficient proof to show the relationship of the mother and father 9 months prior to birth. Each month, on the 15th, the office will sent this free e-mail newsletter to current and former clients of our law firm, to those who have specifically asked to receive it, and to those who have contacted our firm for legal advice in the past. If the newsletter is being sent to you in error, please follow the instructions at the bottom of this page and you will immediately be removed from our list of subscribers. If you know someone who might enjoy receiving this free e-mail newsletter, please send us that person’s e-mail address. Please note that your email and privacy are the utmost importance to us. We would not share your e-mail address with anyone else. Mr. John Gregg is the Nonimmigrant Visa Section Chief. Per Mr. Gregg, the NIV section in Saigon processes an estimate 60,000 applications and the U.S. Embassy in Hanoi processes an estimate 20,000 applications. There are four NIV adjudicating officers in Saigon and two NIV adjudicating officers in Hanoi. The Consulate is a medium post for processing NIV applications. There are no special teams, such as the business team or investment team, to handle special applications. The applications are straight forward. Two-thirds of the 60,000 applications at the U.S. Consulate in Saigon are tourist visa applications (B1/B2). Less than one-third but more than one-fourth of the 60,000 applications are student visa applications. The remaining applicants are as follow: over 200 applicants are H-1B and their dependents; over 200 applicants are L-1 intra-company transferees and their dependents; the rest are crewmen, transit visas, and J-1 high school/culture exchange students. The current waiting period for NIV interviews is 6 days, and the Consulate has a lock box that is available from 8:00AM-10:00AM on Tuesday and Thursday for those who seek to renew their NIV visas without an interview. Mrs. Melissa Bishop is the Immigrant Visa Section Chief. The U.S. Consulate in Saigon is the fifth largest processing consulate for immigrant visas. The Consulate processes an estimate 22,000 immigrant visa per year. This number does not reflect dependents that were issued immigrant visas. Saigon is the second largest consulate to process K-1/K2 fiancé visas. There are eight officers in the IV section. Each officer interviews about 15 cases per day. The IV section will be undergoing a renovation to increase its capacity to process and interview more applicants. Currently, 80 percent of the IV interviews are scheduled by the National Visa Center (NVC), and 20 percent are scheduled by the Consulate. The Consulate will expedite a petition for interview if humanitarian reasons exists, such as if the child is aging out and is not protected by the Child Status Protection Act (CSPA), such as in K-1/K-2 fiancé visas, military members, and for medical reasons. There are a few interesting steps that were changed within the recent year. Now all IV processing in Vietnam requires police clearance number 2 “Ly Lich Tu Phap So 2.” And the Consulate welcomes the U.S. petitioner to the IV interview. It was a blessing and an honor to be present at the open house in the U.S. Consulate in Saigon. The meeting and then a follow-up session of questions/answers were tremendously informative. Thank you to the staff at the U.S. Consulate in Saigon and for AILA Bangkok Chapter for organizing the conference. From an immigration perspective, the United States Department of State (DOS) is responsible for the issuance of immigrant and nonimmigrant visa for those that seek to enter the country. 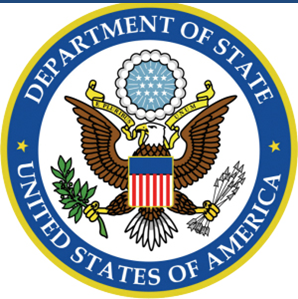 The National Visa Center (NVC), located in Portsmouth, New Hampshire, is part of DOS, and it is responsible for the monitoring of the visa availability and the preparation and facilitation of the visa applications for the U.S. Consulate abroad to interview and issue the respective visa. In Vietnam, there are currently two consulate posts: the U.S. Consulate in Saigon and the U.S. Embassy in Hanoi. There is a plan to open another consulate post in Danang. Only the U.S. Consulate in Saigon processes immigrant visas. The United States allows a certain number of immigrants to be admitted into the U.S. per a fiscal year. This is also known as the quota system. The NVC publishes a visa bulletin monthly to indicate the visa availability for those that seek to immigrate to the U.S. or those that are already in the U.S. to adjust for permanent residency, if they are eligible. The U.S. Department of Homeland Security was formed after the tragedy of 9/11. It now consists of 22 agencies. Formerly known as the Immigration and Naturalization Service (INS), it has now become part of the Department of Homeland Security. The once broadly functions of the INS under the Department of Justice have now been divided into three offices: U.S. Citizenship and Immigration Service (USCIS), U.S. Immigration and Custom Enforcement (ICE), and U.S. Custom and Border Protection (CBP). USCIS is responsible for the benefits side of the immigration perspective, and its functions include, but not limited, to: adjudication of family/employment based petitions, lawful permanent residency (green card) applications, naturalization, and extension/change of nonimmigrant status. ICE, the enforcement side of immigration, is responsible for the compliance and enforcement aspects of immigration law, such as deportation and worksite visits. The CBP is the gatekeeper and is responsible for the admission or exclusion of those that are eligible or ineligible to enter the U.S. They are your typical border patrol agents and officers at the initial point of entry for inspection, such as at airports. Washington — U.S. Customs and Border Protection on March 21, 2013 announced that it has submitted to the Federal Register a rule that will automate Form I-94 Arrival/Departure Record to streamline the admissions process for individuals lawfully visiting the United States. Form I-94 provides international visitors evidence they have been lawfully admitted to the U.S. which is necessary to verify alien registration, immigration status, and employment authorization. The automation means that affected visitors will no longer need to fill out a paper form when arriving to the U.S. by air or sea, improving procedures and reducing costs. 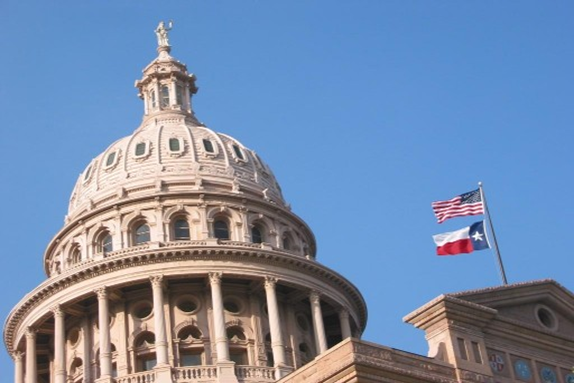 The change will go into effect 30 days after the rule is published in the Federal Register. Travelers wanting a hard copy or other evidence of admission will be directed to www.cbp.gov/I94* to print a copy of an I-94 based on the electronically submitted data, including the I-94 number from the form, to provide as necessary to benefits providers or as evidence of lawful admission. For the first time since 2008, U.S. Citizenship and Immigration Services (USCIS) has reached the statutory H-1B cap of 65,000 for fiscal year (FY) 2014 within the first week of the filing period. USCIS has also received more than 20,000 H-1B petitions filed on behalf of persons exempt from the cap under the advanced degree exemption. Our office will try to provide an up to date processing time of the most prevalent applications that are either being adjudicated by the Service Center or the local field office. A more complete processing time of most of the applications may be found at www.uscis.gov. Washington, D.C. – On March 20, 2013, U.S. Senators Mazie K. Hirono (HI), Barbara Boxer (CA), Sherrod Brown (OH), Tom Harkin (IA), Brian Schatz (HI), Al Franken (MN), and Elizabeth Warren (MA) urged the Gang of Eight currently drafting immigration reform legislation to prioritize family reunification and clear the backlogs of family visas in a letter today. The senators specifically urged their colleagues to keep categories that allow for immigrants to call their brothers and sisters and adult children to this country. The senators also argued that family immigration should not be overshadowed by employment-based immigration, noting that studies have shown that family based immigrants add to the economy directly and through their support of other working family members. The so-called Gang of Eight is finishing up the final details and is planning to unveil the proposed legislation on Tuesday. Nguyen Legal Group, P.C., managed by attorney Huy-Tuan Dai Nguyen, has many years of experience in Immigration and Nationality Law. For years, our office has assisted our clients in all aspects of immigration laws, such as the refugee program, the humanitarian parole program, family-based petitionsfor spouses, parents, children, and siblings. In addition, our office assists other foreign nationals through employment based immigration or investment, and obtaining student and tourist visas. We also assist clients in protecting their immigration rights when their marriage ends in dissolution, or when they are victims of abused or extreme cruelty. 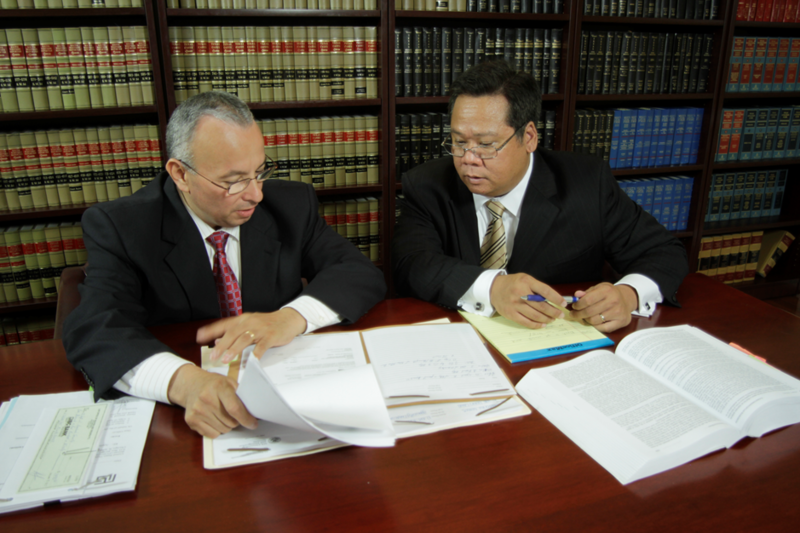 We represent our clients in removal proceedings before theimmigration court and the Board of Immigration Appeals. Our office is located at 12101 Beechnut St., Houston, TX 77072. For more information please visit our home page at www.nguyenlegalgroup.com or contact us at 855-647-9900 (Toll free). Copyright © 2012 Nguyen Legal Group P.C. All Rights Reserved Worldwide. DISCLAIMER: This newsletter is presented by Nguyen Legal Group P.C. for informational purposes only, and not as legal advice.